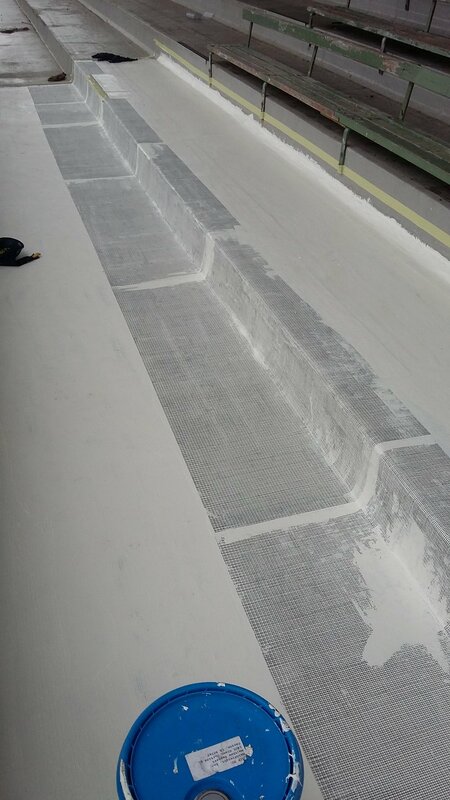 In July 2014 we were asked by the supplier ABEP to assist Christchurch City Council in a flood mitigation trial of the Blue Barrier Wrap product. This project had the potential to solve Christchurch's problems with flooded homes that had occurred due to the earthquakes. 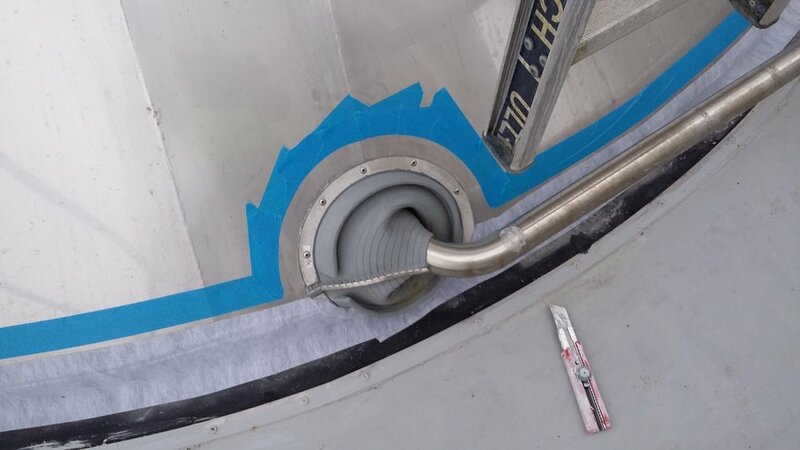 Here we are spraying the BEP® Blue Barrier. It was tested on a red zone house which was purposely flooded, to see if the liquid membrane could keep out the water for three days. Combined with clever floodgates for door openings and temporary covering of base grills, the operation was set to prove no water could enter through the walls. It was an absolute success. This successful outcome gained nationwide attention, and will provide solutions for many people facing similar risks. 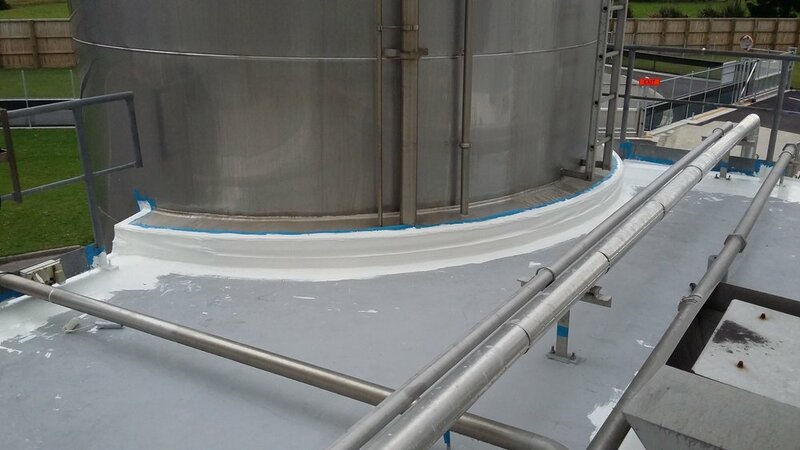 We already are using the Blue Barrier range of products on other applications, e.g. watertight risk areas on leaky homes, gap filling on weatherboard houses. In the United States it is used on new builds as a moisture and vapour barrier as it is superior in sealing around moisture penetrations. View the news articles here. 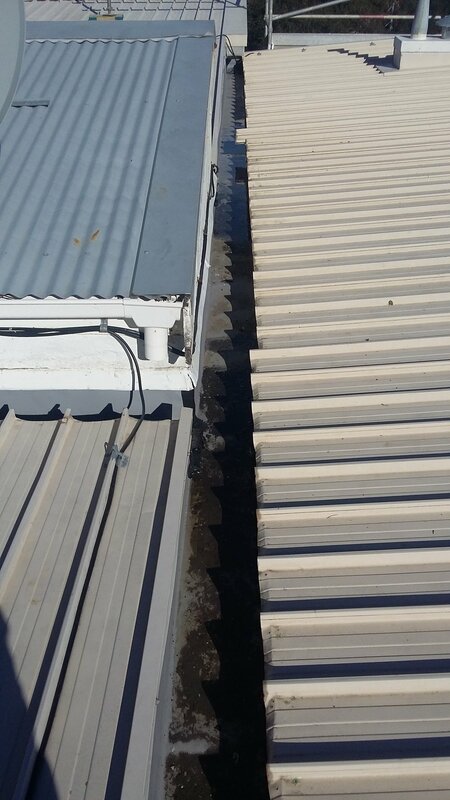 The client was concerned with the state of his small entrance roof and asked for the best system to tidy the roof up and ensure there are no leaks. It was an old rubber membrane roof with a lot of sheet separation, and areas for water to enter the building. We cleaned the rubber sheet membrane membrane off and applied the 20 year K1 liquid sealant system with an additional third coat non-slip layer, which we tinted grey to stop the glare reflecting into the master bedroom. 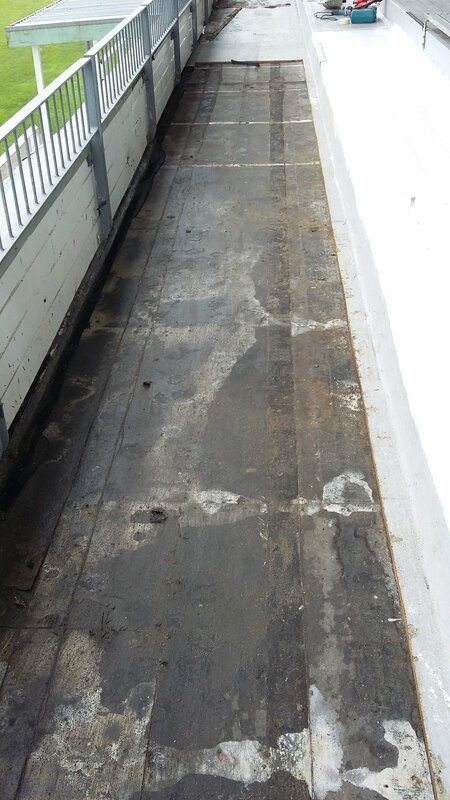 This client’s multimillion dollar house had issues with water ponding water on two decks and an area of leaks on the lower deck near the ponding water. We created a gutter to direct the flow of water to the outlet which fixed all the leaks and ponding issues. The upper deck was in need of an extra outlet to remove the ponding water as there wasn’t enough fall on the deck as it was built over 15 years ago. We removed the tiles and cleaned up the surface, so as we cut the section out to install the new outlet and pipe work we could achieve the most professional finish possible. There is no other plumber to use than Doug Neville from 2D Gas & Plumbing. Doug was extremely comfortable with the technical job. Once Doug was finished I closed the deck back in and applied K1 to the cut lines and screw holes ready for the 20 year system. 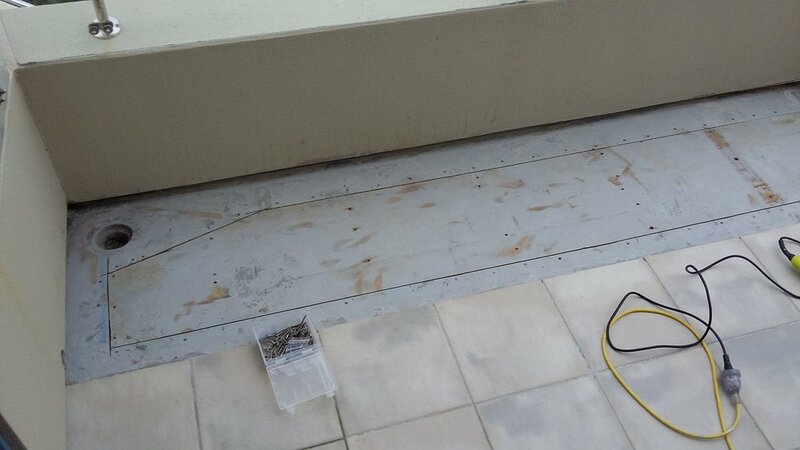 In the following days we applied the K1 20 year system ready for the new section of tiles. As the old tiles were no longer being made, the owner chose new tiles and we cut them down to the right size and then installed to the original finish. The owner reports no ponding on the upper deck since we completed the work. 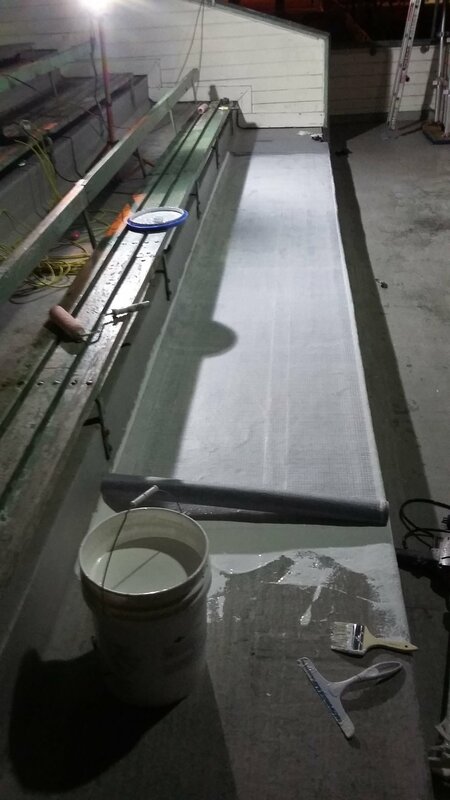 The Stadium was undergoing maintenance and they had water ingress issues into the club rooms below. 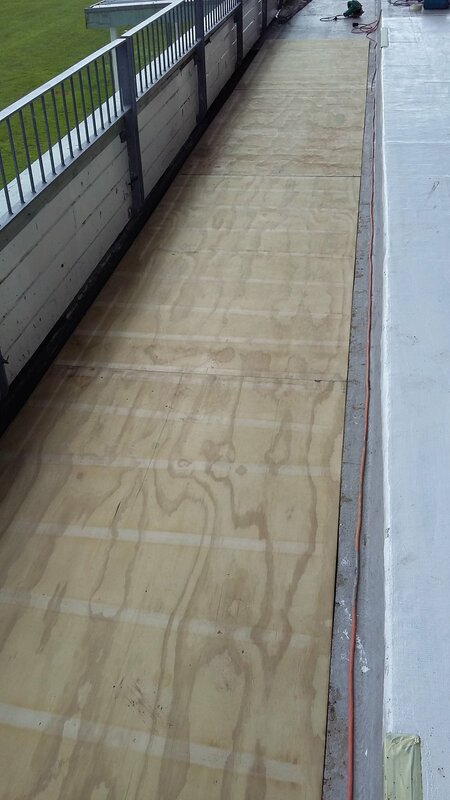 We were asked to remedy the situation with FFR K1 sealant and replace the lower section of plywood. As this was a time-sensitive job we did night work to complete the job within the week. 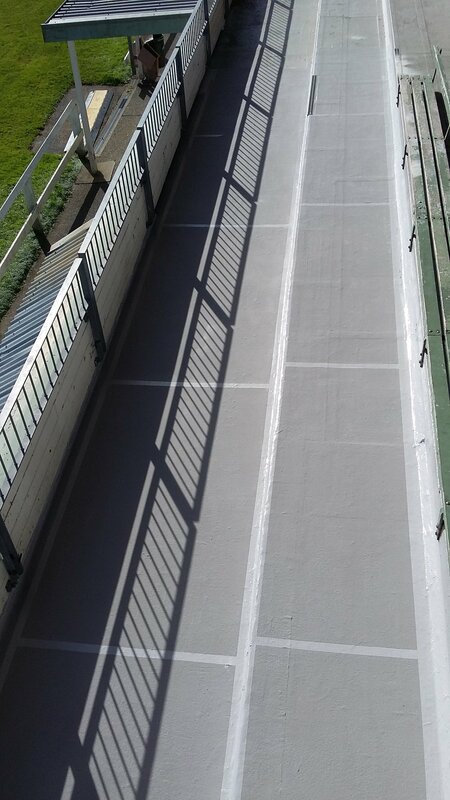 It has a 20 year warranty on our K1 system and a third coat non-slip surface tinted to the closest grey we could match to the stadium. 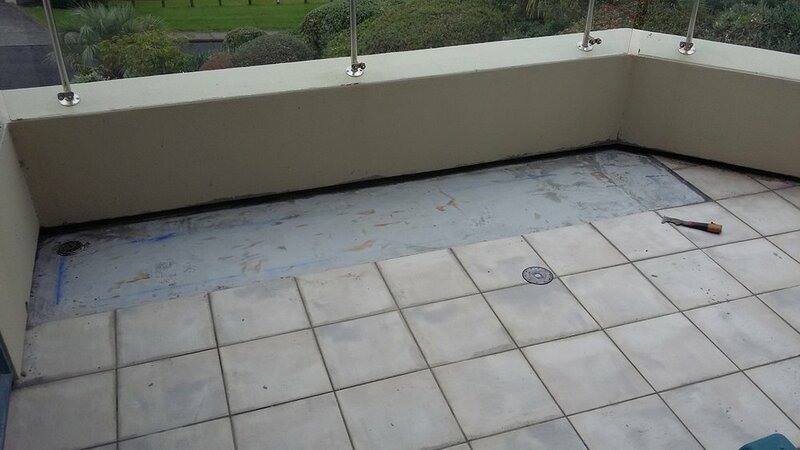 Housing NZ were experiencing long term leaking in the apartment blocks in Onehunga. 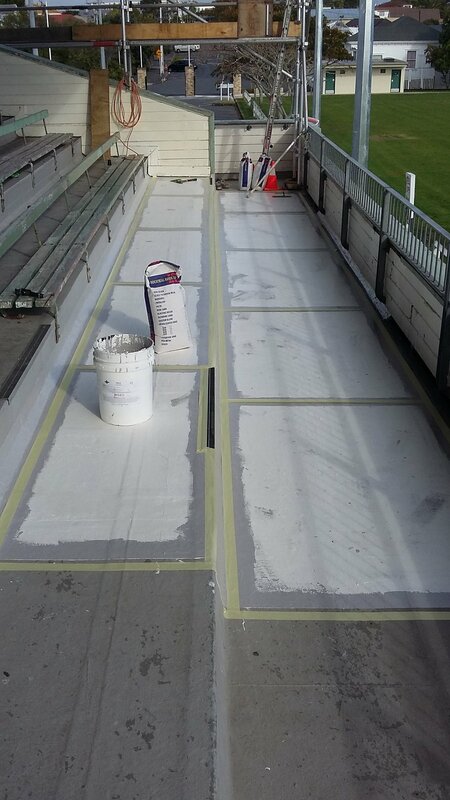 After multiple attempts by other companies trying to install sheet membrane, Viano was asked for a solution. We were able to give them a cost effective 10-year system that would allow Housing NZ the room to decide whether they would rebuild or maintain the structure. 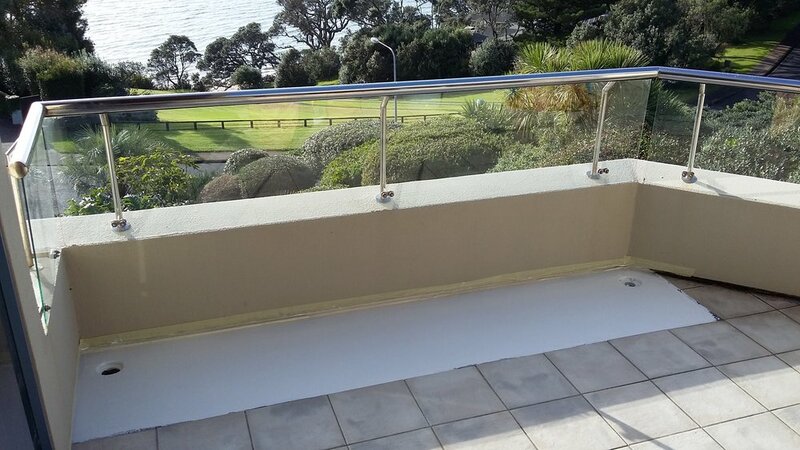 These are some of the more difficult jobs to work on, as there is very little space and an uneven surface to work from. Fonterra has implemented an ongoing maintenance programme on a year-by-year basis as they have an enormous infrastructure to up-keep. 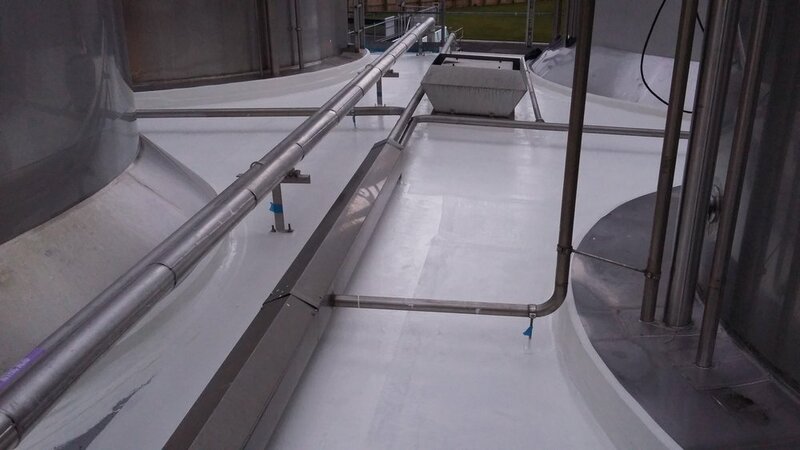 We were asked by another company to price the installation of the FFR K1 20 year system over a roof of a processing plant. This the most technical K1 system ever installed in New Zealand. The customer is extremely impressed with the abilities of the FFR K1 system and this is now being used on other Fonterra sites.